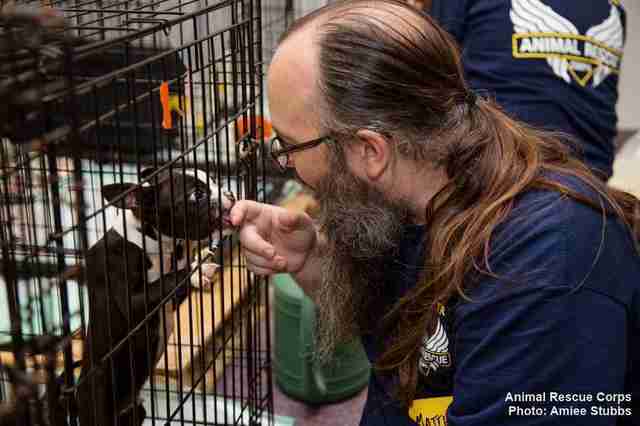 The smallest ones were in cages when rescuers found them. Three larger dogs were running around outside unattended. Two unlucky ones didn't make it. 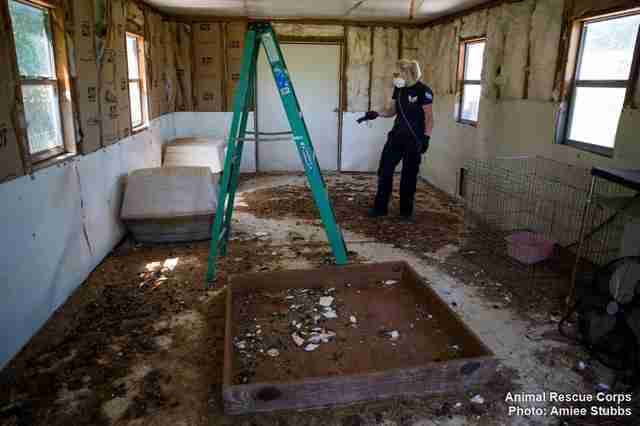 When the Animal Rescue Corps (ARC), a national animal protection nonprofit, sent its team to Gibson County, Tennessee, these were the conditions that greeted them when they arrived. 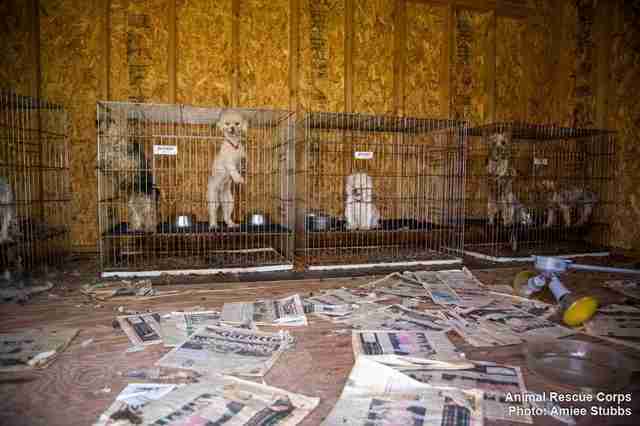 Two hours west of Nashville, a breeding facility had kept these 48 dogs on its property to sell for profit. Mostly small breeds like Chihuahuas, Boston terriers and shih-tzus, the moms were constantly forced to give birth, until they were spent. 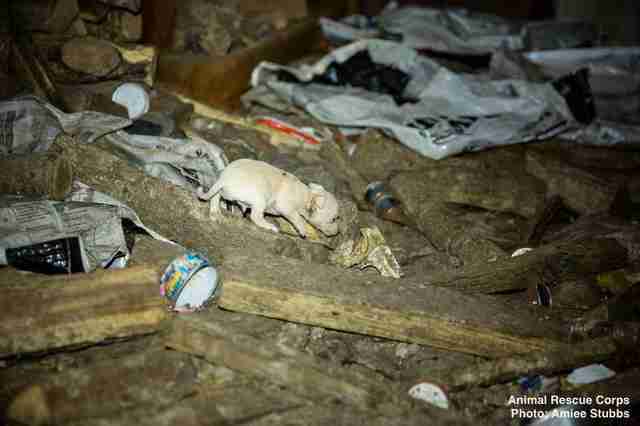 Some of the animals were just puppies, days old and still nursing, according to the ARC. 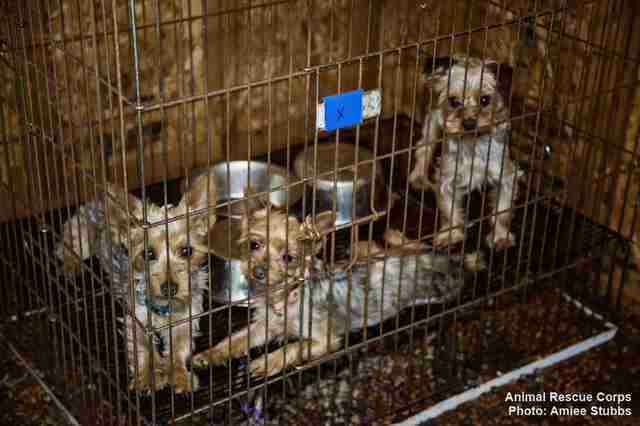 They were held in wire cages like storage, soaked in their own urine and feces, and unable to leave. 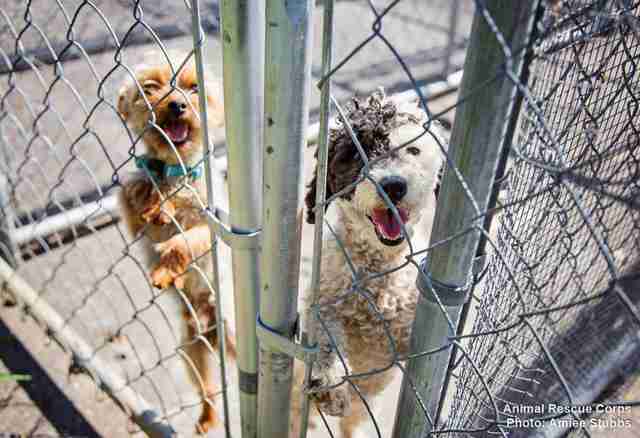 "These dogs have been locked in a cage their whole lives and forced to have litter after litter," Scotlund Haisley, president of the ARC, said in a statement. "They have never known what it's like to be a dog. Most of them have never felt the ground beneath their feet or a kind touch." 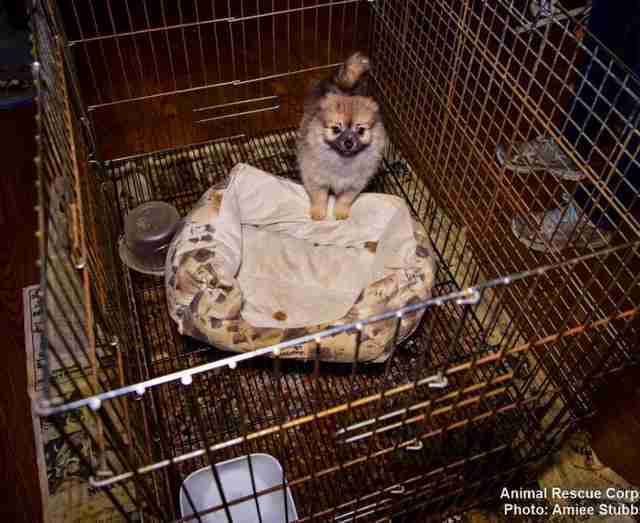 Two of the pups huddled in a cage had to share their filthy crate with another dog who had died, according to the ARC. The property owner had simply looked the other way. 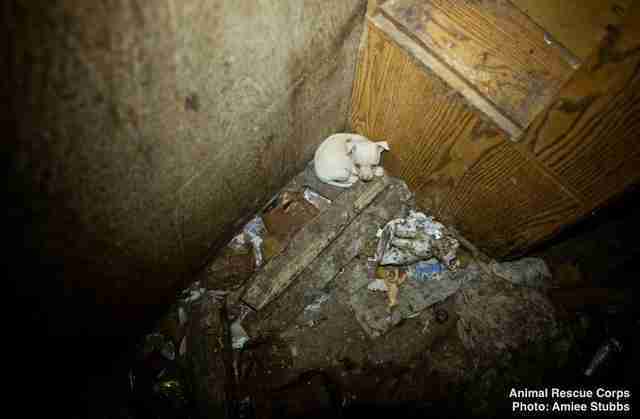 Many of the dogs and puppies had gone without nourishment for an unknown duration, visibly lacking access to food or water when rescuers arrived. Some were kept directly in the sun without shade. Now, the 48 surviving pups can learn how to be dogs, stretch their legs and, hopefully, find families who can give them a comfy spot in the bed. But first, they need to get well. 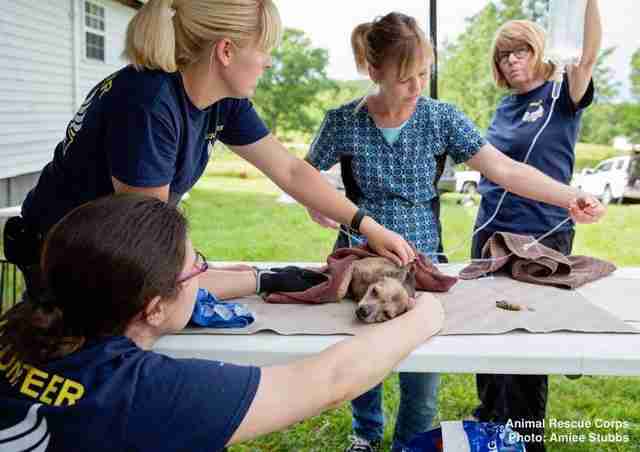 The rescue operation, dubbed Operation Summer Saves, is caring for each of the dogs in an emergency shelter 40 minutes from Nashville, where they will receive medical exams, get baths and, most importantly, relax. "Cruelty and abuse, whether inflicted on a person or animal, will not be tolerated in this county," Paul Thomas, sheriff of Gibson County, said in a statement. 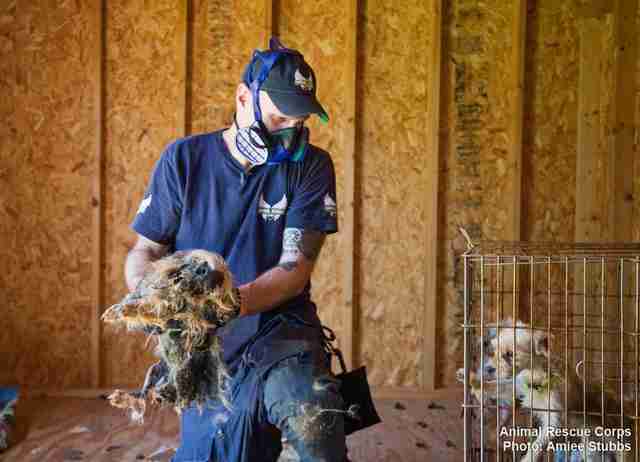 "We are, once again, grateful to Animal Rescue Corps for being a resource for our community to address these large scale cases of abuse." 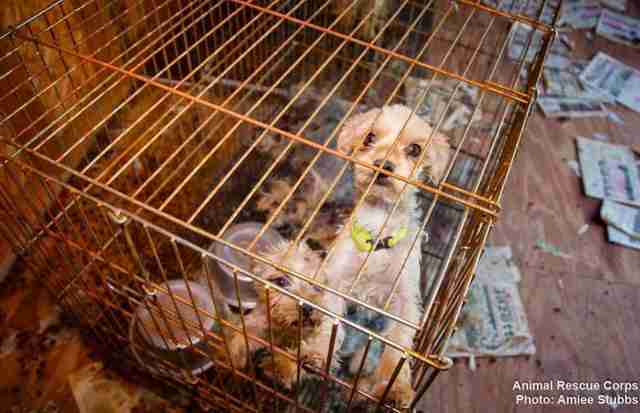 The property owner is now being charged with 50 counts of animal cruelty, according to a statement by the ARC. 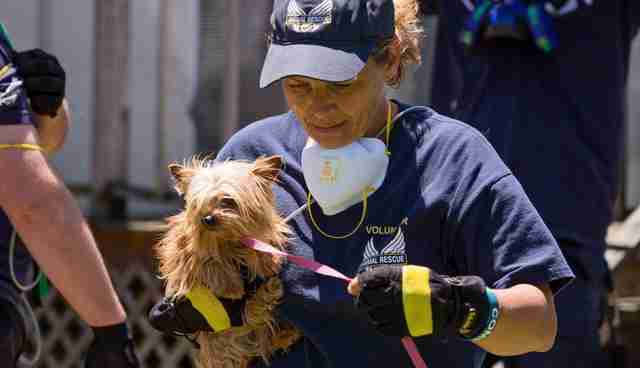 Meanwhile, in Morgan County, Tennessee, another similar rescue operation, Dire Straits, is underway. 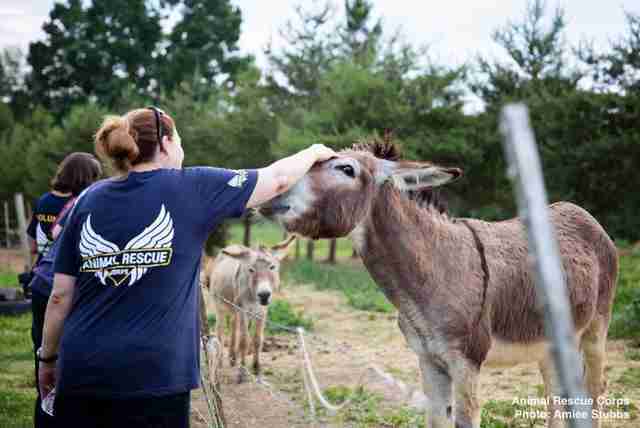 Rescuers saved 32 animals - including 20 dogs, four miniature donkeys, two ponies, a potbellied pig, three roosters and one hen - from their neglectful and dangerous living conditions. One weak and malnourished pup, whom rescuers named Bonaparte, was in particularly bad shape after being found unconscious. The ARC is currently fundraising for Bonaparte's continued medical care, including a fractured jaw. The Morgan County property owner has been charged with 18 counts of animal cruelty, according to the ARC. For updates on how to foster or adopt the animals from Operation Summer Saves or Operation Dire Straits, follow the ARC on Facebook.